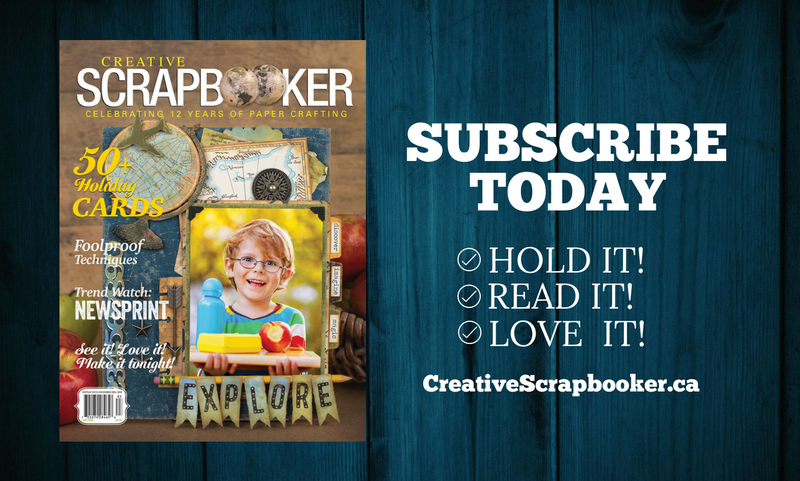 Hello crafty friends, Tracy McLennon here today on the Creative Scrapbooker Magazine blog. Today I have a fun little birthday card to share. Here are all of the details for this beautiful birthday card. Cardstock- White I stamped my Impression Obsession stamps using Ranger Archival Ink- Jet Black onto white cardstock and added colour using Chameleon Color Tone Pens and Chameleon Colour Tops. Fussy cut out the coloured images. I created a blended background using Ranger Tim Holtz Distress Oxide Inks and a blending tool. I also stamped a couple more images from the stamp set, again using the coordinating Ranger Tim Holtz Distress Oxide Inks. This gives the images a little less definition and keeps them more, background detail. I adhered my fussy cut pieces to the card using Scrapbook Adhesives by 3L Thin 3D Foam Squares and regular 3D Foam Squares. I like that little bit of difference in dimension. Crafty Tip: I get the Scrapbook Adhesives by 3L Thin 3D Foam products in black and regular Scrapbook Adhesives by 3L 3D Foam products in white. That way when I need to grab adhesive quick, I know what I’m reaching for. I added another layer of white cardstock with a distressed edge to the card and adhered that to the card base using Scrapbook Adhesives by 3L Crafty Foam Tape. 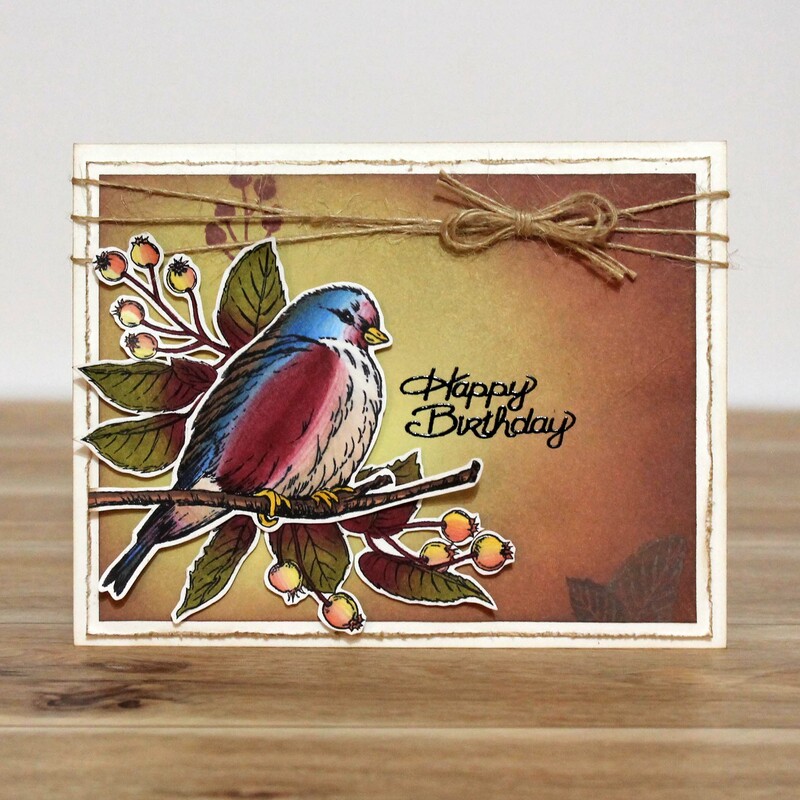 Another fun touch was to add the burlap string across the card. I had added the sentiment to the card front using ranger black embossing powder.